I have been away from technology for several days so am very late discovering the theme for the week. I’ve chosen my photo from some taken several years ago in Darwin. I see the juxtaposition as Natural v Man-made. 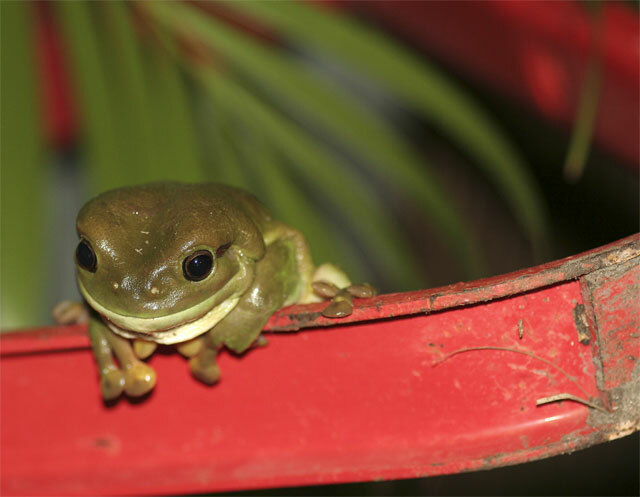 The soft bodied, moist, green tree frog v the harsh, dry, metal frame. 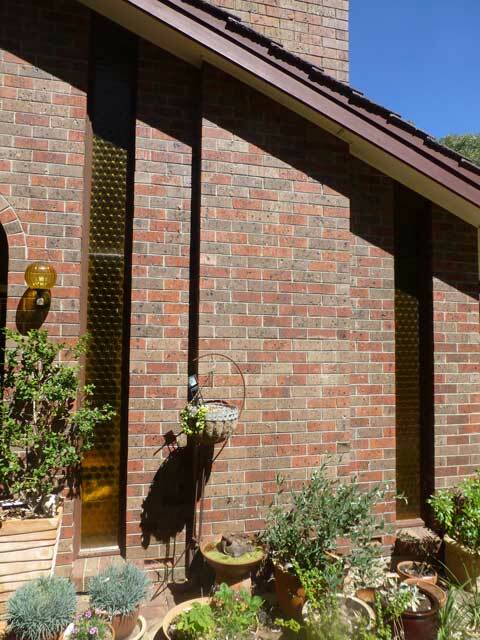 Most adult South Australians could look at this window and say the house was built in the 1970s. The narrow windows going from the ground to the roof line with orange, bottle-bottom glass was a common feature in so many houses. I just had to add this one even though it was taken in 2011. 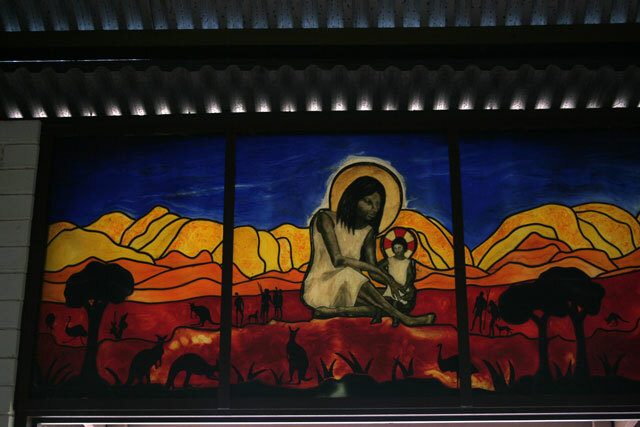 The beautiful stained glass window is in the Education Building at New Norcia, Western Australia. I love it for the depths of its colours, the fact that they represent the Australian countryside and that Mary is depicted as Aboriginal. It was very unusual at the time this community was first established for Aboriginal culture and lifestyle to be given any value by outsiders. 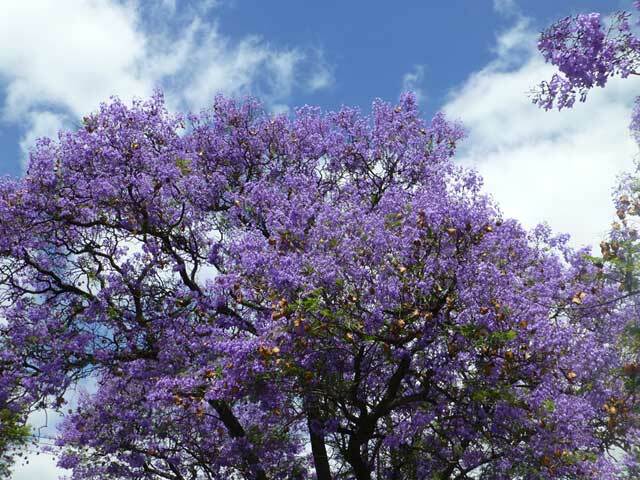 There is an Aussie Christmas carol which has the lines, “When the blue of the Jacaranda Tree is here, Christmas time is near” and that was my inspiration for my Christmas Card this year. 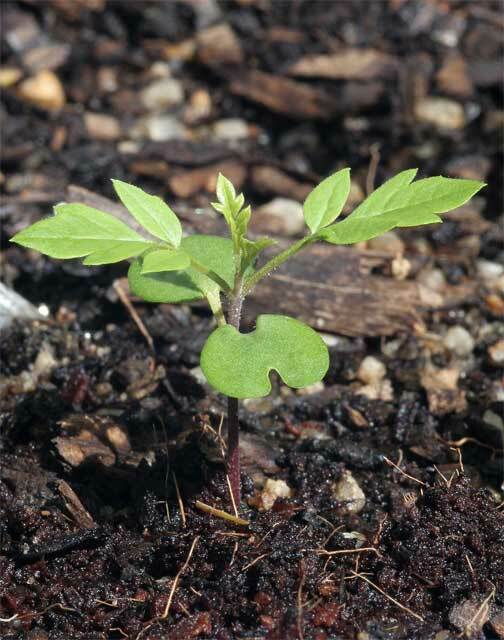 This tiny seedling is from a seed I collected when I was photographing Jacaranda Trees. Hopefully this little plant is the beginning of a beautiful big tree which will eventually look like it’s parent below.